Case Study: Adhesive Dispenser for Commercial Trailer Manufacture - Eclipse Engineering, Inc.
Who can benefit from this Eclipse development? Any industry that needs to seal viscous media (urethane, epoxies, etc) can utilize this Eclipse technology to improve their operational reliability and production up-time while reducing seal replacement time and cost. Trailer manufacturers are increasingly using high-tech glue to join frames and panels made of metal, plastic, and composites––instead of the traditional welds and rivets. Adhesives distribute stress more evenly along joints and are less visible. They also reduce assembly costs and increase production throughput. A component in the client’s existing adhesive dispenser unit (glue gun) used rubber FKM seals––which were being chemically attacked by the glue itself, causing premature failure and production downtime. 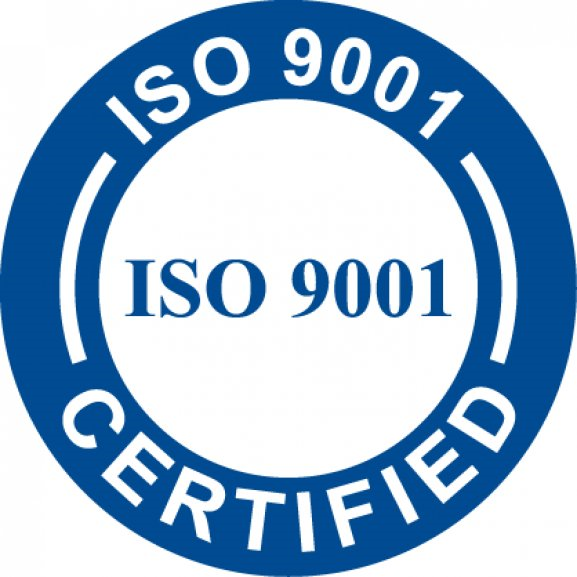 Utilizing it’s knowledge of products in similar industry applications, Eclipse found a solution in just 2 days that not only provided resilient compatible seals, but an integrated replacement for the whole seal gland. This integrated assembly spared the customer the hassle of installing seals individually. The inside seal shown as yellow on the left in the image (the adhesive chamber end) was made of Eclipse premium yellow UHMWPE (EU040) with a heavy load-canted Stainless Steel coil spring. The seal is aggressive with high unit loading. The jacket material is very abrasion-resistant and the cut-back lip design, loaded with heavy load-canted coil spring, makes an excellent scraper for high-viscosity media. The inside right seal (at the outside environment end) was made of Eclipse thermoplastic elastomer (EH042) with a Stainless Steel V-Spring. This seal offers backup/redundant sealing for the primary seal, plus an excluder to keep environmental contaminants out of the system. The outside seal is a static Fluorocarbon o-ring supported by a Virgin PTFE split back-up ring. The assembly housing is Stainless Steel. 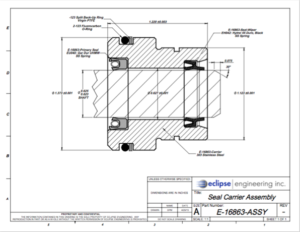 The integrated Eclipse seal carrier assembly solved the client’s headache of production downtime and gave them a clear run ahead of reliable operation. Several units were bought to cover their range of manufacturing operations into the future. Eclipse can provide a similar solution for any viscous media sealing applications to improve your production reliability and up-time.